A growing trend over the last few years have been families and groups hiring the Lady Nelson for short sailings on the weekend. These groups often self cater or even dress up to enhance their trip. 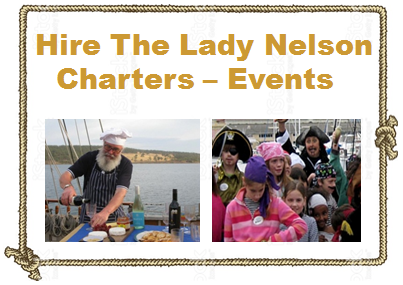 Lady Nelson can take up to 30 people on these trips. Or you may want to consider getting a group together for a weekend away. This can be up to 10 people fully catered (food) for a weekend. Departure from Hobart on Friday evening (or Early Saturday morning) getting back to Hobart on Sunday afternoon. The cost works out to be only $300 per person for a group of ten friends. 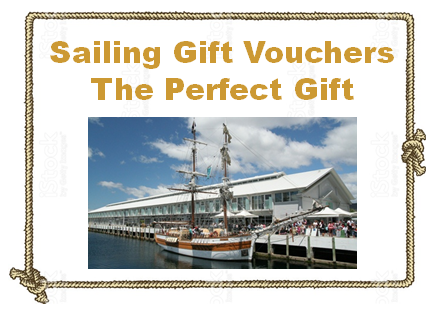 Based at the beautiful, picturesque waterfront of Hobart and just minutes' walk from the centre of town, the full size replica of the original Deptford built Brig is a popular sight with locals and tourists alike. The Lady Nelson sails majestically up and down the River Derwent to the joy and delight of her passengers who are offered the opportunity to enjoy a tall ship sailing experience. Passengers are able to help set sails, take a turn at the helm or just enjoy the feel of a traditional sailing ship at sea. 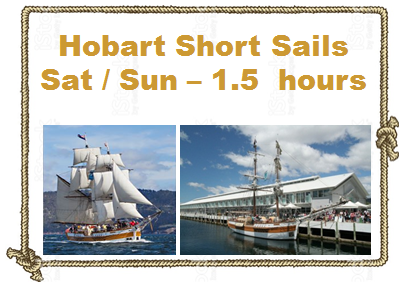 She sails on the harbour each weekend and is also available for private charters from 1 hour to multiple days. The Lady Nelson regularly offers multi-day adventure voyages around the East Coast of Tasmania with comfortable sleeping berths for up to 18 passengers and crew, toilets, showers and a fully equiped galley with on-board cook. 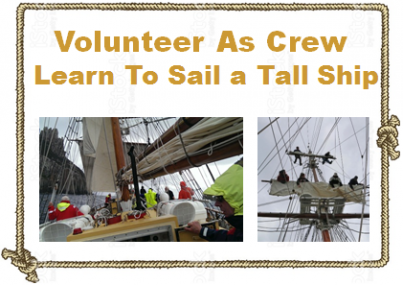 Become one of the crew working the lines and climbing the masts (optional) or just enjoy the fantastic scenery from the deck of a beautiful square rigged tall ship. 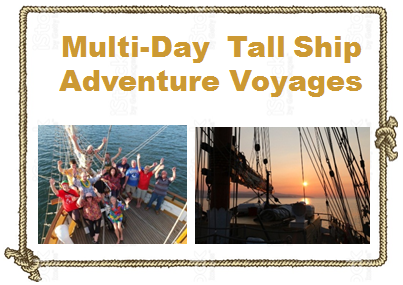 Sail Away Weekends are a fantastic opportunity to get a group of 10 family and/or friends together for the sailing experience of a life time. Available outside the peak summer period, these weekend trips leave on a Friday night and return on the Sunday afternoon and include all meals. Bring a bottle or 2 of wine to enjoy with your meal at anchor while watching the sunset and sharing the days adventure.